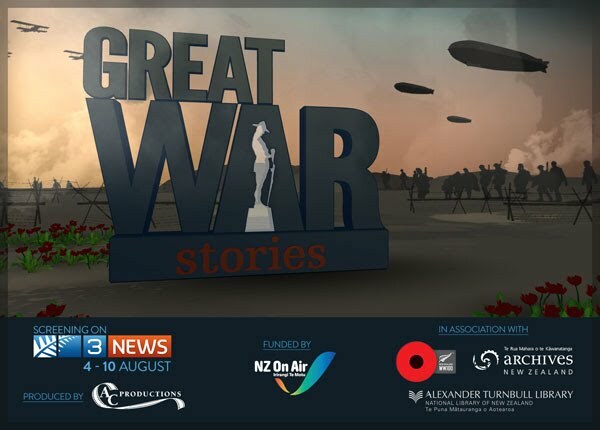 AC Productions' new series, Great War Stories is being edited for screening on TV3. 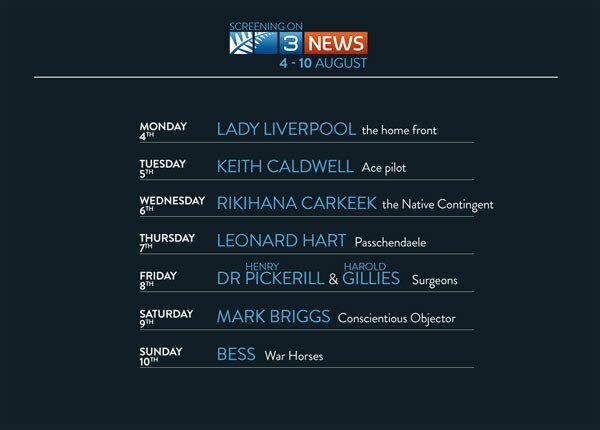 We are telling stories of New Zealanders - men, women, Maori and Pakeha - and one horse, Bess, in short documentaries to screen as part of TV3 News. The first series will screen later this year on TV3 in prime time and then be posted on the relevant websites. The series is funded by NZ On Air. This is an exciting collaboration with our wonderful archives, a rich treasure trove of personal stories - the Alexander Turnbull Library, Archives NZ and the Ministry for Culture & Heritage. Photo 1: Researcher David Filer, Mark Jennings TV3, with Rosemary Fullerton-Smith and Anna Cottrell at the launch at the National Library. 2.Jock Phillips,Min for Culture & Heritage describes WW1 pilot Keith Caldwell's amazing escape. 3. Lady Liverpool launches our series with stories from the home front. 4.This series is 'hand made' according to our exhausted editor Peter Metcalf (below). 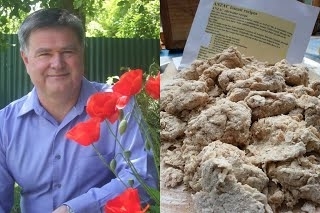 Amy O'Connor's documentary Strawberries with the Fuhrer is screening on TV3, Anzac Day 10.30 am. It is the story of Helga Tiscenko from Timaru whose German officer father was executed at the end of the war. Anna has an Oral History award from the Ministry for Culture and Heritage to interview Chatham Island women. "After a visit last year I was fascinated by the hard working, dynamic and creative women who live and work in such a remote environment - and interested in the stories they have to tell. I hope to be there early March during the music festival." 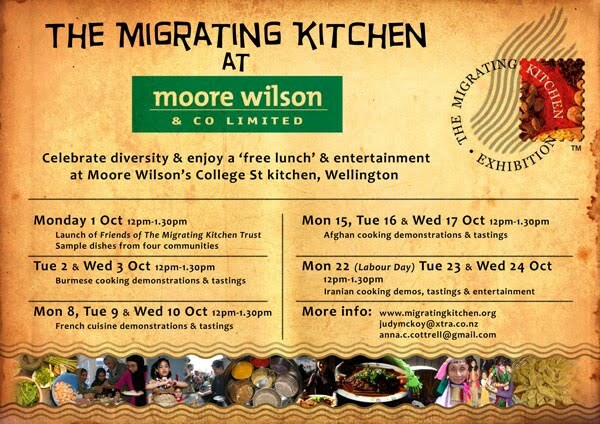 The Migrating Kitchen celebrating refugee & migrant stories - now on at Moore Wilson's in Wellington. DVDs playing, Food cooking - Mondays to Wednesdays in October. Sons and daughters of the famous and the infamous tell their stories in the documentary Out of the Shadows. The Muldoon family, Tom Hunt son of Sam, Hinemoa Awatere daughter of Donna, Martin Crump son of Barry and the Turners, Glenn and Sukhi's kids, describe what it's like when your parents are well known public figures. Heartland Channel - 29th September at 7.30pm. 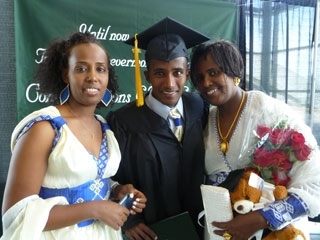 Mulu Tesfa, Terefe Ejigu's mother and I wish to thank all the generous donors and supporters. Please come for drinks and we'll show a short clip of the family story and Terefe's graduation in the States. Where: The Film Archive, Wellington. When: Friday, 31 August 2012. Running time: 30 + 15 minutes. Ticket price: $8 incl. cup of soup. "German New Zealander Helga Tiscenko’s war story is one few other New Zealanders might have listened to sympathetically when she settled here. Now she talks to filmmaker Amy O’Connor about the privileges and subsequent travails of growing up the daughter of an intelligent, loving father who happened to be a Nazi General. As a child she thrilled to choruses of Sieg Heil! She was chosen to share the eponymous strawberries on the occasion of Hitler’s birthday when she presented him with a bouquet of forget-me-nots and was invited to stay for ice cream. ‘If he had asked me to die for him there and then I would have done so’, she says, ‘unquestioningly’. Her father would eventually be executed for war crimes, and her own escape from the Allied advance was fraught with danger. In her 70s she wrote her memoirs partly to address the conundrum of a good father who became instrumental in an evil regime. With fitting modesty, O’Connor’s film allows Helga’s salutary tale to exemplify the susceptibility of young and old to messianic charisma."